You find further information in the AULIS system: Repository > Category Faculty 1: Business Sciences (School of Int. Business - SIB) > Category Business Studies (BW BA) > Group Jahrgang 2007 > Folder International Economics. Please REGISTER to this group as we are going to use it during the class. Here you also find the material for your teamwork / presentations. Teams & tasks - see table below ! B: 08/06/2009 5 Who Gains and Who Loses from Trade? You find information on the EU on the webpage of the ECB - learning material and videos. We are also going to discuss Trade Blocks in general. Repetition and YOUR questions Table of Contents in review + Word file with relevant chapters and exercises. If not indicated differently, the numbers refer to the "Questions and Problems" at the end of the chapters of the Purge book. - Unfortunately the group-presentation had to be cancelled. 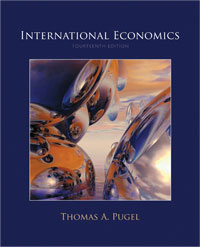 You are still heartily invited to read the texts as they show the real-world applications of International Economics (often in the evaluation questionnaires the lack of applications is listed, so here it is - take your chance). - The following tasks (from Mankiw and Pugel) are examples of possible exam-questions. ALL of you should prepare ALL questions. One group is asked to present the tasks in class, but the others should be prepared (or have concrete questions) as they might have to solve something similar in the exam. 1. 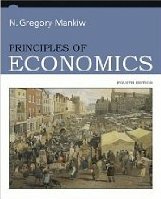 Mankiw: "Problems and Applications"
Group A: presentation of "7 pictures of the world economy"
rescheduled to next week !!! - due to lack of participation! with many useful tips, among other things: "How can I improve my English outside class?" (with tips for going out - English Club ... and more).